Antrasis mano wishlist'as jau čia ! Nusprendžiau,jog auksinės spalvos detalės vis dar labai žavi ir sunku joms atsispirti. Tačiau naująją mano simpatija tapo šviesiai melsva spalva, kuri tikiuosi greitai apsigyvens mano spintoje. Labai tikiuosi, kad šiame wishlist'e rasite kažką, ko galbūt ilgai ieškojote ! 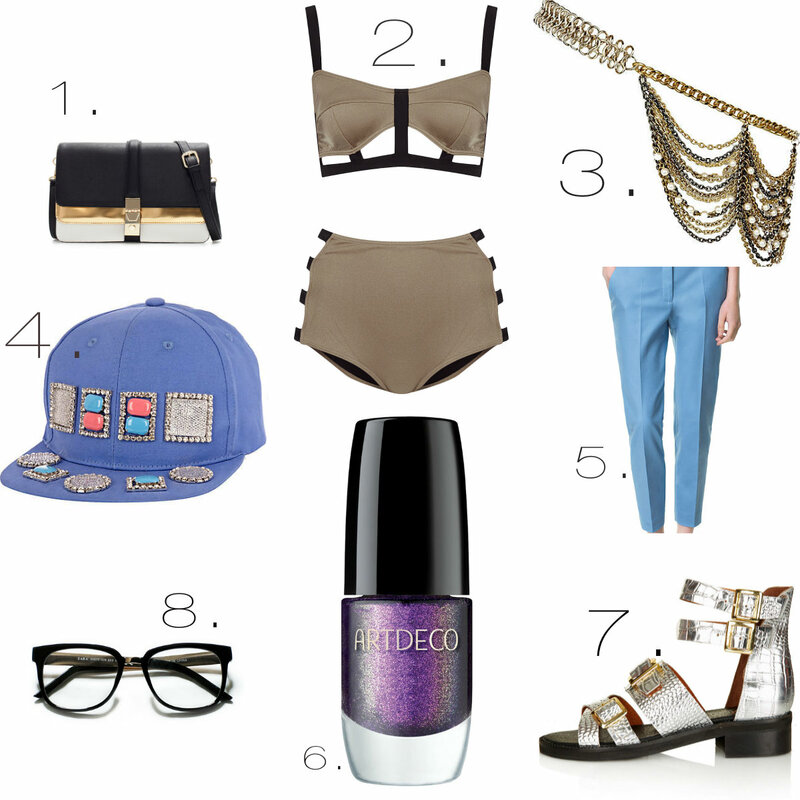 This is my new wishlist for this week. Actually, I'm still obsessed by the golden details, but my new passion became a light blue color. I really hope that some of these beauties will lie in my wardrobe as soon as possible. I really hope that this wishlist will help you to find something that you were searching for a long time ! 6. ARTDECO nail polish : you can find it in every cosmetic shop.